I am intrigued by the idea of an old hotel on the site. I wonder what archaeological goodies are hidden under the surface. That is an interesting thought! There was a hotel there from 1863. 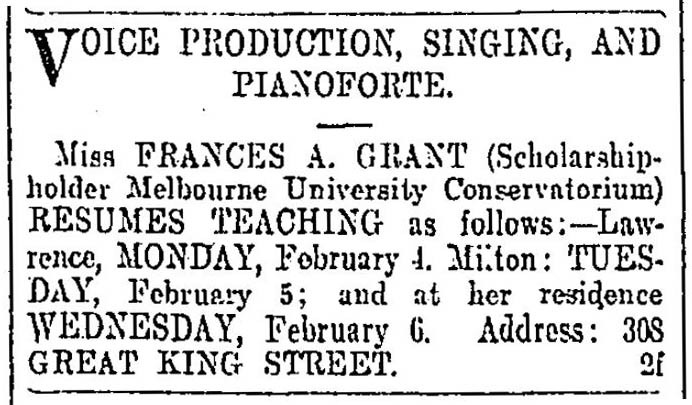 There is a picture in the Otago Witness, 1 July 1903: http://goo.gl/J6gYN (middle left). 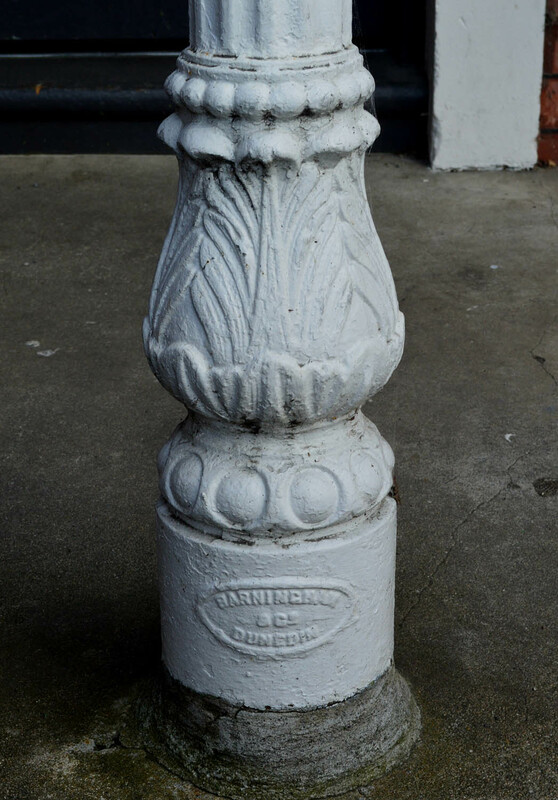 The same can be said for many sites throughout Dunedin…. the city’s layered up to hell and back archaeologically. 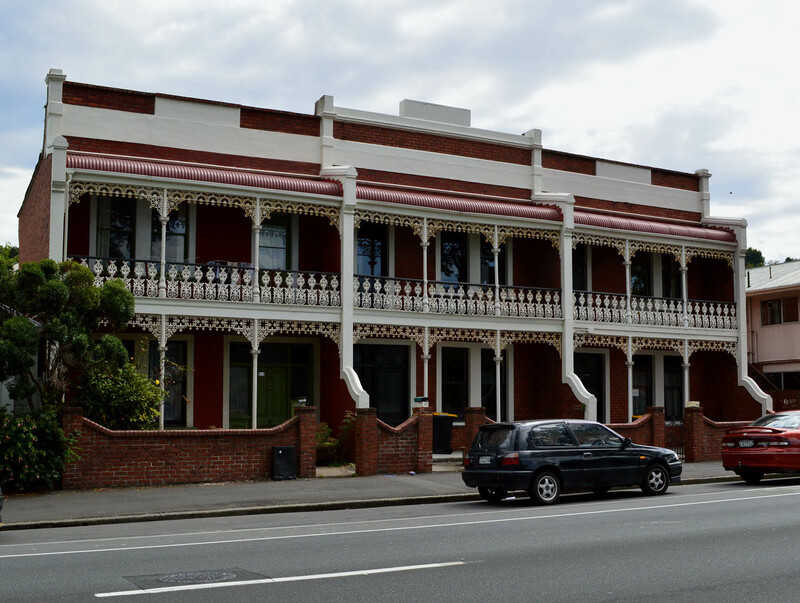 But see Frank Tod’s book, Pubs Galore: History of Dunedin’s Hotels 1848-1984 (Dunedin: Historical Publications, 1984), as a rough guide to old sites (and it is rough in places, but educational). On page 13, Tod says the hotel established in 1863 by the licensee John Brown was briefly known as the Auld Reekie Hotel (1867-68), then St Vincent Hotel until 1875; after which it was renamed Annandale Arms Hotel – sometimes referred to as Armadale Arms Hotel and Allandale Arms Hotel. If the timbered Annandale Arms was built on the ground without a basement it’s likely very little archaeological material survives on site from that time; and owing to the extent of site cover provided by the terrace houses. Thanks Elizabeth. The licensee lists in Pubs Galore are very handy – they’re updates of the lists R.W. Willett compiled, which were published in poster form some decades earlier. I live in the middle flat during 2000. The bottom and top units were combined then. The copper in the laundry was still there, as was the cast iron stove. The fireplaces were sealed up a few years prior. The balcony had apparently collapsed in 19991 under the weight of too many students during a party, and in 2000 wooden shoring under the deck was obvious. Being related to the Lindsay family in regards to the back four single story flats. The round topped windows that were in the Annandale Arms hotel on this site were used as the front windows for these four buildings. Thanks for that interesting detail Stephen. The Victorians and Edwardians generally seemed to have been better at recycling building materials than we are today. 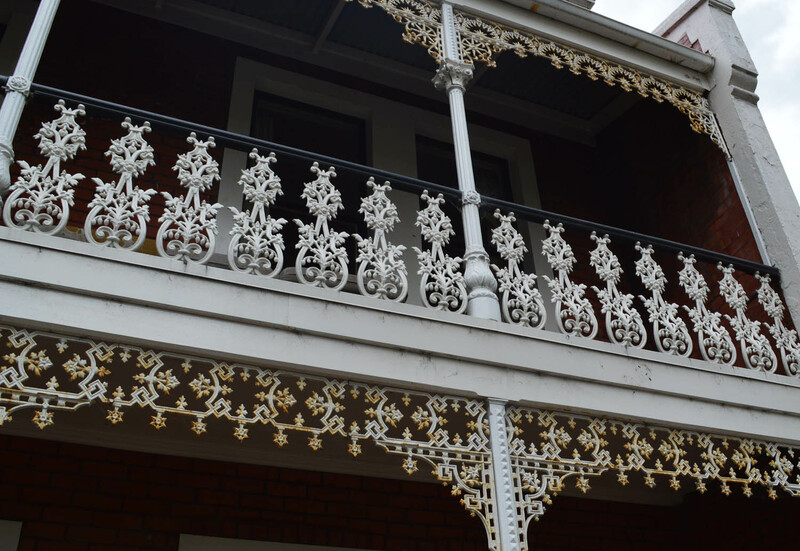 My partner and I owned the rear four terrace houses and the North one at the front (626) We bought them off the Lindsays and extended family, I I think around the mid 80’s. I did find some interesting artifacts including a very fragile tiny teapot in one of the backyards while excavation for new drains. We took a heap of top soil away to get the grounds levelled up for paving. Some of the bricks from the rear houses were from the Speights sign on the wall beside the Annadale Arms Hotel. As they still had black and white paint on them. Yes, the arched windows in the back houses are the ones from the front of the Hotel. Other things I found while working there incude a very nice looking early water colour painting, an enamel cigarette/tobacco sign (possibly originated from the shop that was situated on the North side of the alleyway ). I also found was an unopened cigarette packet…still wrapped in cellophane and with cigarette cards inside. (Still unopened! ) It must have fallen down the chimney of one of the terrace houses while it was being built, as it was preserved under lime mortare that had also gone down behind the fire surround. We got to know Annie and Norman Lindsay very well over the years. We were always welcome for a cuppa….or a sherry, anytime. They were a lovely couple of people. Real salt of the earth. Will always remember their stories of the early days in Great King St.
It’s great to learn more of the site’s fascinating history – thanks very much Leigh.